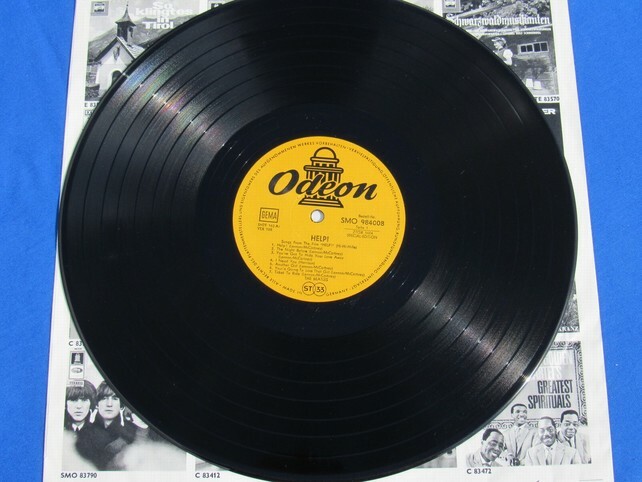 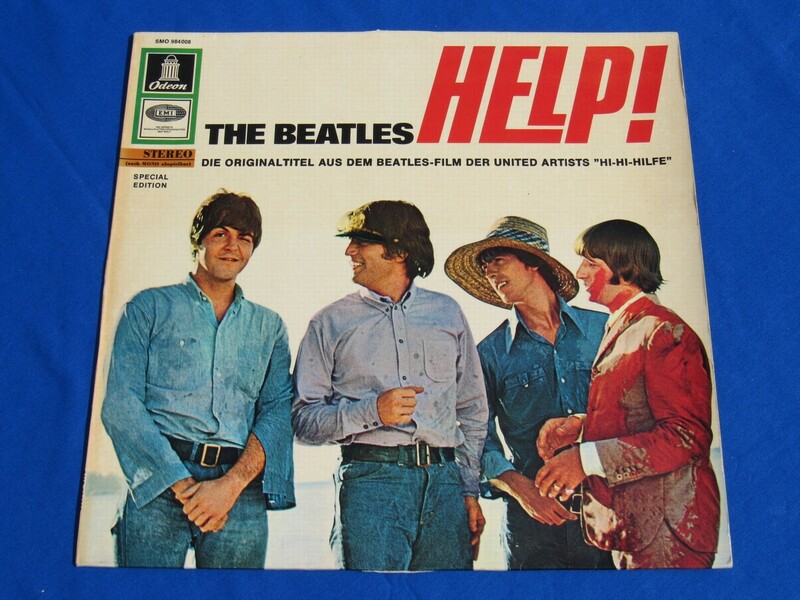 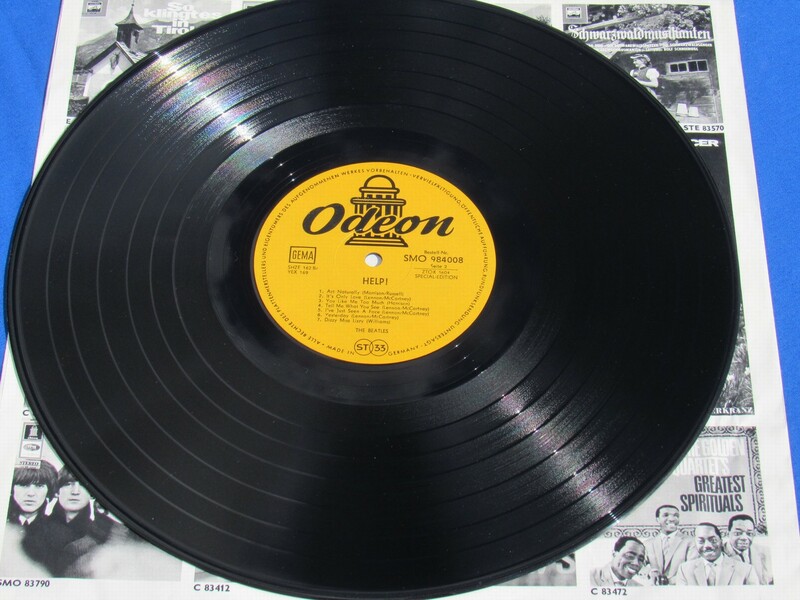 Very rare German first pressing of The Beatles` original soundtrack to "Help! 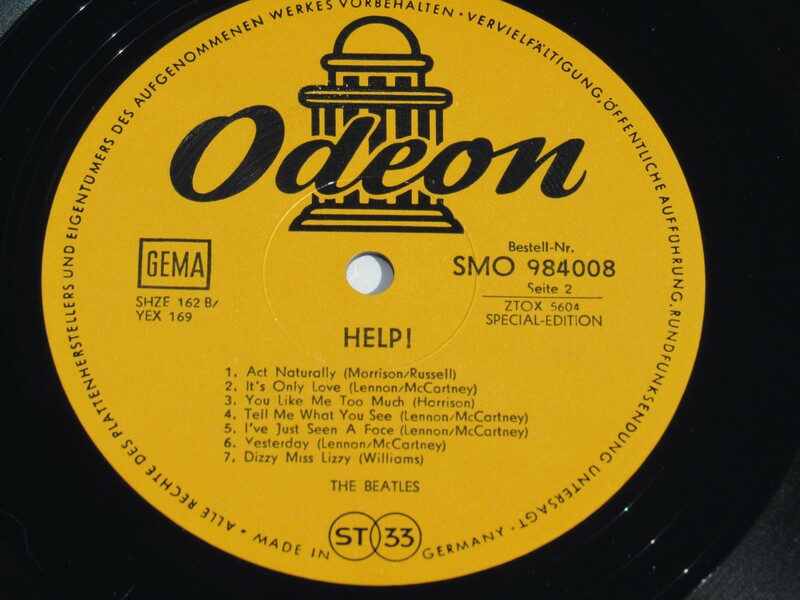 ", released on Odeon Records (August 1965). This specific German issue of "Help!" 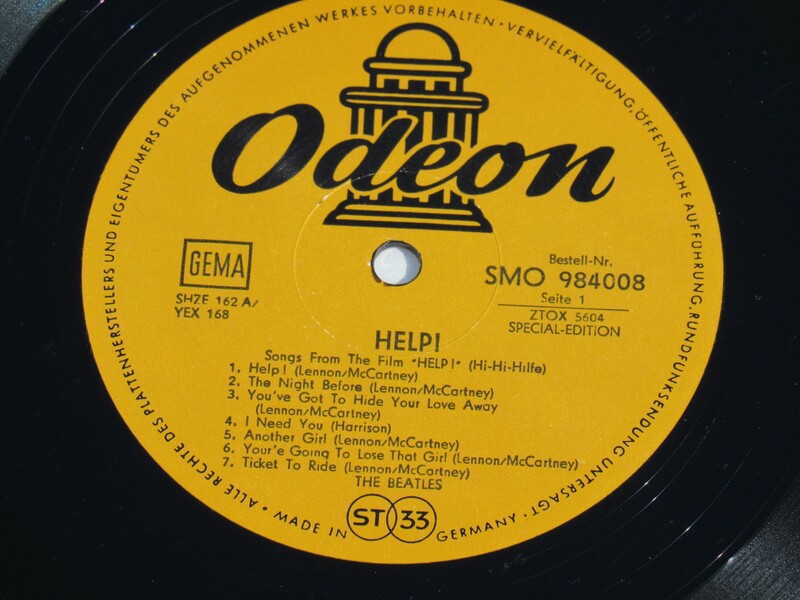 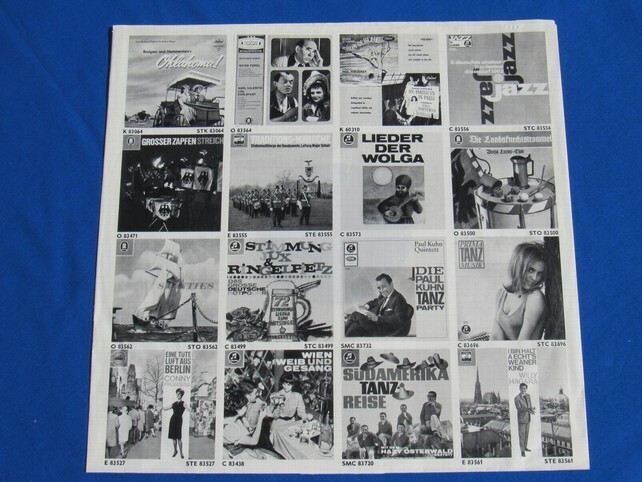 (German title: "Hi-Hi-Hilfe") with its alternative cover was produced specifically for export to Switzerland. 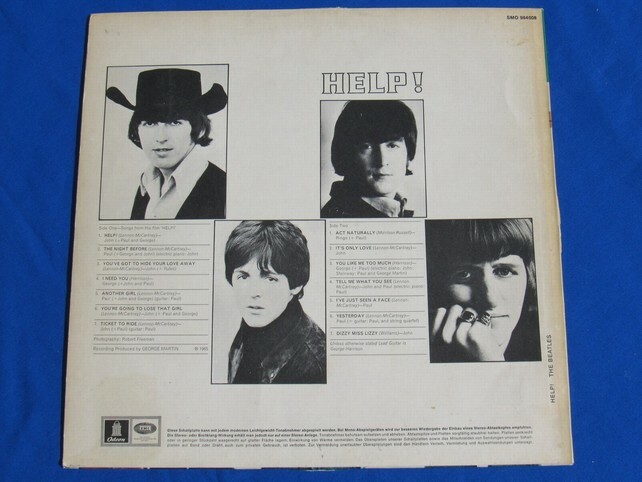 Both sleeve and disc are in beautiful condition. 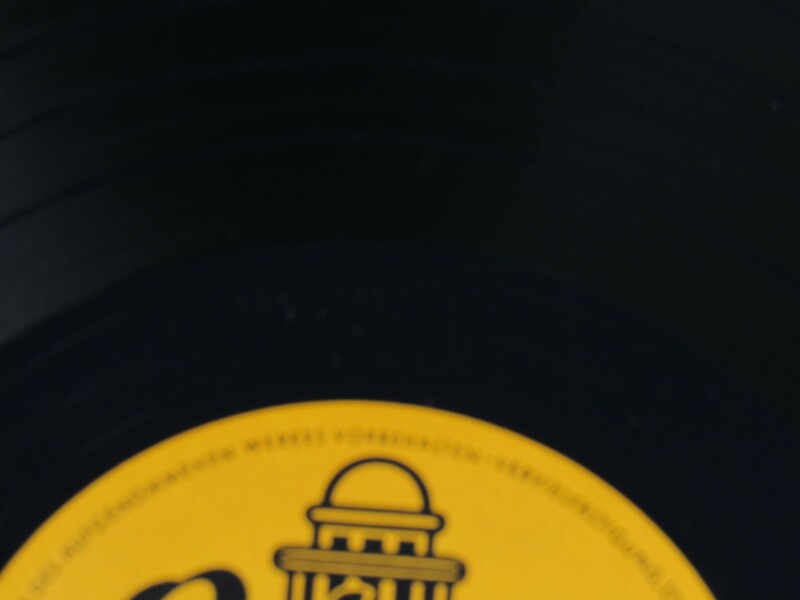 The vinyl is mint perfect, as is the label.